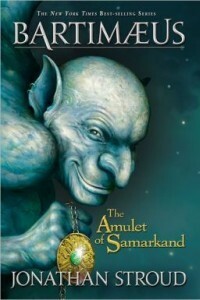 The Bartimaeus Sequence consists of three books (The Amulet of Samarkand, The Golem’s Eye and Ptolemy’s Gate) and a prequel (The Ring of Solomon). One thing I definitely have to mention about the books are the footnotes. Said from the sarcastic mouth of the main character of the series, Bartimaeus, the footnotes are simply hilarious. The setting of the main books are an alternative London where magicians are in charge. The prequel takes place in ancient Jerusalem. I’d definitely recommend this series to readers, especially to those who’re fond of fantasy. And there hasn’t been a single person I’ve recommended them to so far who hasn’t liked the books.